Spark Youth Dance Company Inc. was founded in 2016 by Alex Dellaportas. Inspired by her own experiences choreographing and creating dance works for her peers, she was determined to create a youth dance company that would allow young people to not only find a passion for dance and the arts but also to find a passion for creating and for being part of collaborative dance projects with other like-minded young people. 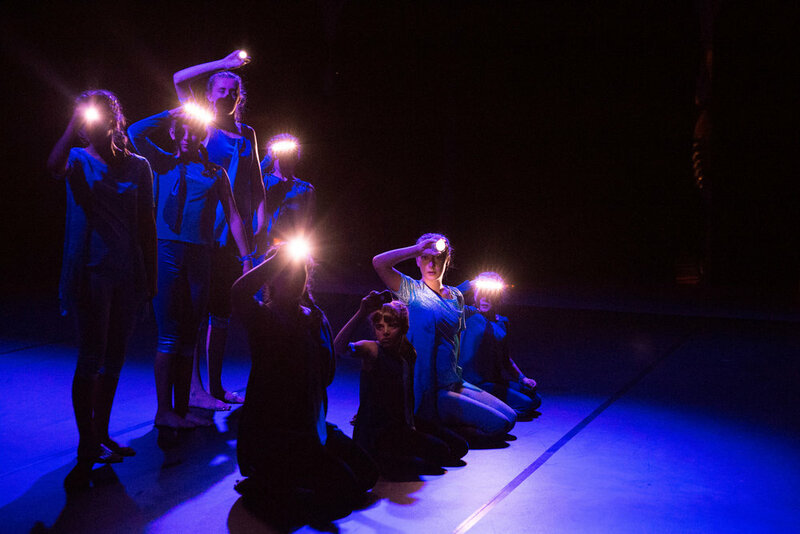 We create dance works with young dancers under 25 years old and provide opportunities for young people interested in theatre to help create, direct and produce our shows. Spark Youth Dance Company also gives dancers and creatives the chance to be mentored by people within the dance industry. We have worked with Daniel Gaudiello (former Principal Artist with the Australian Ballet), Belinda Strodder (dance photographer), Tamara Keane (costume designer), Alice Topp (dancer and choreographer with The Australian Ballet) and Nicolette Fraillon (Music Director at The Australian Ballet). SYDC aims to provide a platform for children and teenagers to engage with dance as an art form. We encourage young dancers and artists to utilise dance as a method of communication, storytelling and connection through the creation of new dance works, performance opportunities and other dance events. We want to allow young people aged 7-25 to be the driving force behind the company, giving young aspiring artists the chance to be leaders in their chosen fields on our various projects. Young people are put in charge of choreography, costuming, lighting design, orchestra management, marketing, photography, videography and fundraising. We want to connect these young people to resources, funding and mentors to help them gain experience and valuable industry skills that will not only encourage them to pursue the arts as a career, but to become inquisitive, thoughtful and creative members of society. SYDC aims to have a positive impact on the mental health of the young people in our company. We aim to encourage the building of strong friendships and support networks, promote dance and the creative arts as healthy outlets for expression, and most importantly we aim to provide a safe, welcoming space for young people on the Mornington Peninsula to be heard, be recognised as artists and to have the chance to connect with like-minded youth.